How Much Should Wedding Photographers Spend on Ads? If you want to draw as many potential customers to your wedding photography site as possible, then you need to be willing to invest in yourself. In fact, a wedding photography industry survey found that one of the biggest expenses for photographers is online advertising. Ultimately, the best way to advertise any company online is to find a strategy that returns more in profits than you spend on marketing. Unfortunately, a lot of wedding photographers new to the digital world spend piles of money, without seeing any results. Before you can answer the question “How much should I spend on ads?”, ask yourself the following things. 1. How Effective is My Photography Portfolio? It’s no good spending a fortune on Google AdWords and Facebook ads if you’re not leading your customer back to the best example of your work. For photographers, a successful online portfolio is the most powerful marketing tool you have – and a great way to reduce your monthly spending. By carefully constructing your best images into a gallery you can create a shareable selection of pictures that drive attention to your photography company. Not only will a photography portfolio improve the chances of your work going viral, but it could also capture the attention of collaborators who want to work with you to help grow your brand. The good news is that designing an online portfolio doesn’t have to be expensive or time-consuming. 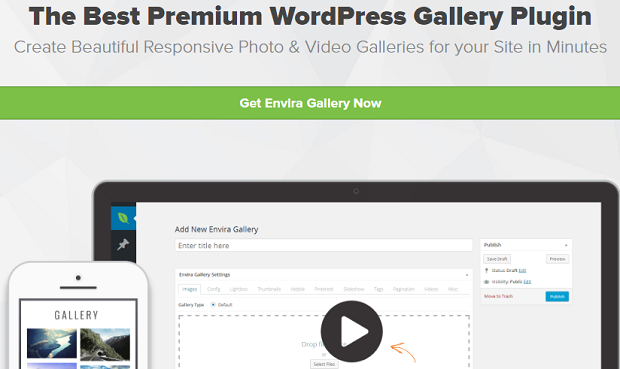 All you need is a tool like Envira Gallery to get started. With Envira, you can build a stunning portfolio easily, without ever having to learn how to code. 2. Am I Interacting with Customers? Perhaps you’re already driving people to your website or portfolio, but you’re not convincing them to do anything important when they get there. Making an impact online is about more than simply designing the right website or choosing a great theme. If you want to convert your visitors into new customers, then you need to interact with and engage your visitors. Before considering how much to spend on ads, think about how much time you’re already spending nurturing your prospects. Do you have a contact page that your customers can use to reach out to you? Do you let people leave comments on your blogs, or direct them to your social media pages for a conversation? Solutions like the WordPress Live Chat Support plugin can give you a way to automatically engage with your audience in real-time. A wedding photographer needs to be able to connect emotionally with their clients. Start building a relationship, and you’ll find that your ad spending starts to pay off. 3. Am I Gathering Social Proof? If you want to convince people to invest in your wedding photography services, but don’t have a large budget to spend on Google AdWords and other paid marketing campaigns, you could always try the best free marketing solution out there – word of mouth. One of the biggest mistakes photographers make when building their websites is forgetting to give their customers a chance to offer feedback. If you deliver incredible wedding photography experiences that leave your customers raving about what you did for them on their big day, make sure that other people can see their satisfaction too! If you want to avoid overspending on ads, begin by adding a review plugin to your wedding photography site. 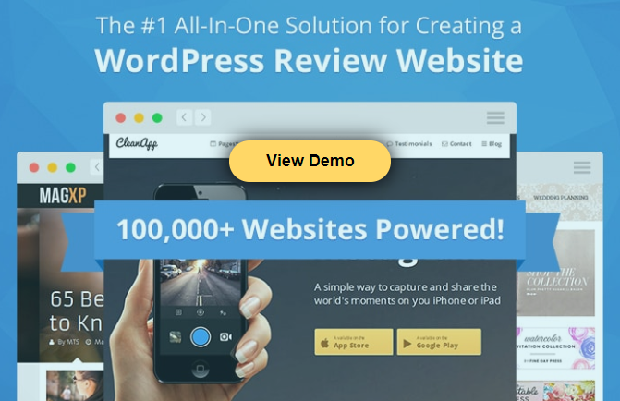 Solutions like WP Review Pro can help you gather social proof by the bucket load. 4. Have I Strategized My Social Media Campaigns? As most wedding photography experts already know, to really grow your business, you need more than just a website. Getting ahead of the curve online means having a solid social media presence too. This is particularly true for wedding photographers who thrive on the relationships they build with their passionate clients. Before you think about upping your ad budget or even look into Facebook advertising, make sure that your current social media presence is having the right impact. Ask yourself whether you’re using the right channels. For instance, Instagram, Snapchat, Pinterest, and other visual platforms are perfect for anyone with a photography background. Once you’ve got your social media presence set up, make sure to add social media buttons to the sidebar or footer on your WordPress site. 5. Am I Writing Regular Blog Posts? Don’t start worrying about how much to spend before you’ve considered all your options for free advertising first. For instance, a blog can be an incredible way to generate both traffic and leads for your photography business. With blogging, you can establish yourself as an industry expert, and even share emotional stories about the days you’ve spent with clients in the past. When someone looks for a wedding photographer online, they want to know that you’re the best choice to give them a simple and stress-free experience on their big day. Stories told on your blog can help to give you more credibility and value to your client. You can even use your blog to encourage deeper engagement with your customers through comments. Just make sure that you keep any spam to a minimum by investing in a plugin like Askimet. This tool automatically sorts through your comments to weed out irrelevant spam and keep things looking professional. 6. Do I Have an Email List? Finally, before you go over-spending on advertising strategies, make sure to have a way of nurturing leads over time. Picking a wedding photographer is a big decision for most clients, so they may not want to choose you the first time they arrive on your website. The best way to keep track of potential customers is to ask them to sign up for your email newsletter. When customers join your email list, they give you a way to continue reaching out to them with offers and insights that may eventually convince them to work with you. You can even keep people on your email newsletter after they’ve converted and encourage them to recommend your services to their friends. Just make sure that you’re sending emails that are both relevant and interesting. No one wants to be plagued with constant promotional material. How Much Should I Spend on Ads? Unfortunately, the question “How much should I spend on ads?” has no simple or obvious answer. How much you invest in paid advertising should depend on the strategies that work best for you, and what you can afford. However, the best way to avoid a poor marketing ROI is to ask yourself the six questions outlined above first. How much do you spend on ads, and have any of the strategies above helped you to save money on your marketing? Get in touch with us in the comments below or follow us on Twitter or Facebook for more handy tips and insights.